Our long history is filled with firsts. We’ve developed some of the world’s largest and best quality mines and operations, and our people work in around 35 countries across six continents. We’ve led the industry in partnerships, with customers in new markets, and with local communities. We’ve pioneered technological innovations, such as our Mine of the Future™ programme and our low-CO2 aluminium from hydropower. And we’ve paved the way in areas such as safety, tax transparency and legacy management. How can you make a meaningful difference to the way we resource the world? New challenges demand new ideas. As experts in mining and metals we’re looking for the next generation of challengers, visionaries and pioneers. The people who will think beyond possibility to deliver ideas and answers that are essential to human progress. Our Graduate Excellence Path (GEP) gives you a learning platform designed to develop technical experts and future leaders of tomorrow, whilst preparing you for a career with us. You will have access to a wide selection of learning tools designed to accelerate your growth, including coaching, mentoring, webinars, access to leadership content and collaborative networks. With a strong focus on Science, Technology, Engineering and Mathematics (STEM) disciplines, we are looking for graduates who have a desire to learn, progress their careers and believe in becoming the leaders of tomorrow. Must be in final year of study or graduated for less than two years. You must be studying a relevant discipline to the role you are applying for. A dedication to promoting safe work practices. Intermediate / advanced knowledge of Microsoft Office tools. Eligibility to work in the relevant country. An enthusiastic approach to working with an eagerness to adapt to a new way of thinking. Our applications will be open approximately March/April 2018. 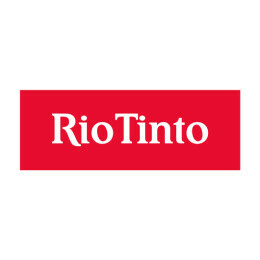 For more information, please visit www.riotinto.com/graduates.